My first card for 2018 uses two Magnolia Tilda stamps masked together. The papers are by Maja Designs, Sweden, cut with GoKreate dies and the butterfly die is Noor Design. 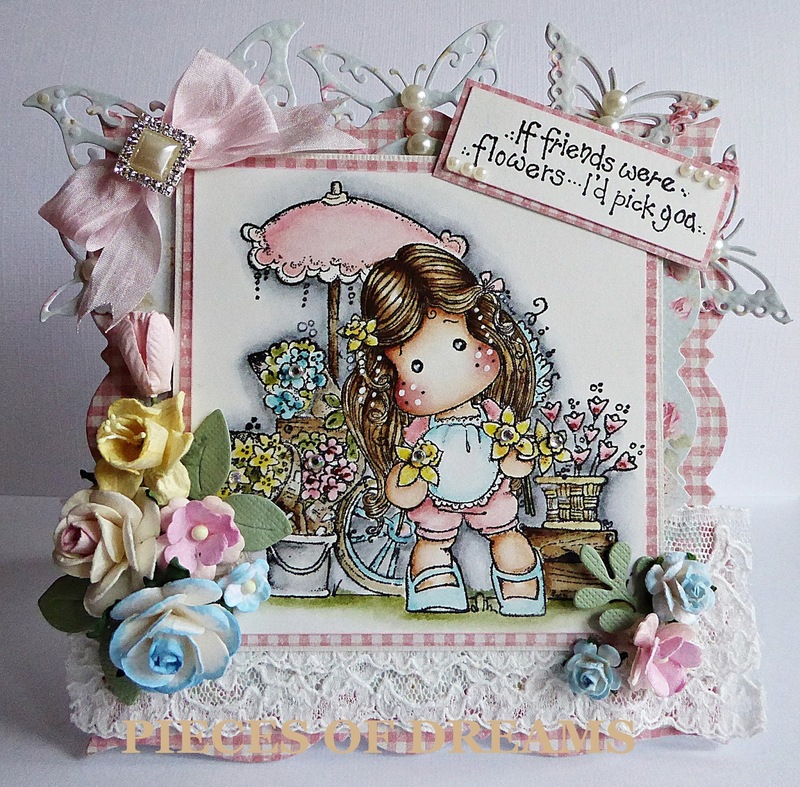 I painted Tilda with distress inks adding tiny gems to her flowers. The seam binding bow holds a pearl and diamanté embellishment. The inside is finished to match the front.